It says on it 'Inspected by COBRA ???? Wingfield is a village in the county of Suffolk. It is found 7 miles (11 km) east of Diss, signposted off B1118, near Eye. Wingfield Castle, which is now a private house, was for many centuries the home of the Wingfield family and their heirs, the De La Poles, Earls and Dukes of Suffolk. 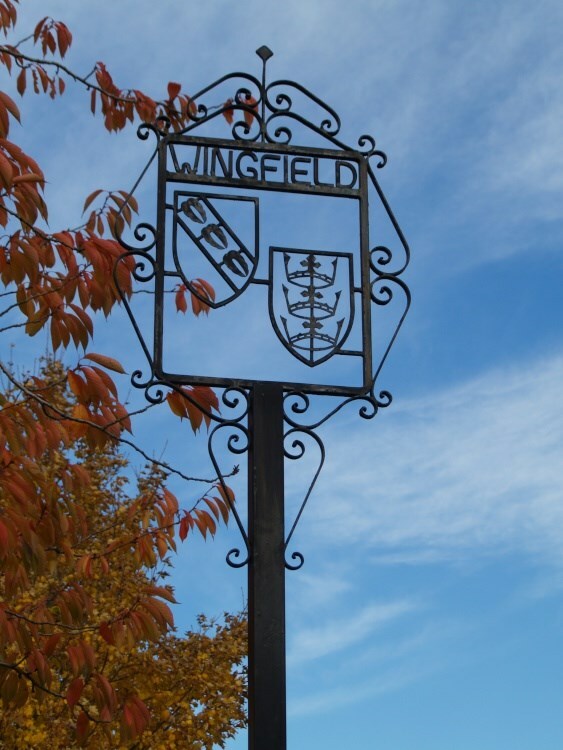 The Wingfields were a very ancient family and Sir John de Wingfield was chief of staff to the Black Prince. Sir John de Wingfield founded the great 14th century church at Wingfield and his tomb can be found within it. Here visitors can see fine church monuments of Sir John de Wingfield and the De la Pole family. The church contains the effigy of Michael de la Pole Earl of Suffolk, and his wife Katherine. This Earl died of dysentery at the Siege of Harfleur whilst with Henry V on his Agincourt campaign of 1415. The Earl's son, also Michael, who was with his father, succeeded to the title but was killed a few weeks later whilst fighting under the King at the actual battle of Agincourt. The title then passed to the second son, William, who was aged fifteen at the time. William de la Pole later first Duke of Suffolk, who was murdered after being exiled in 1450, was buried by his widow, Alice Chaucer, in the family church of the Charterhouse, Kingston upon Hull, as was his wish, and not in Wingfield church as is often stated.